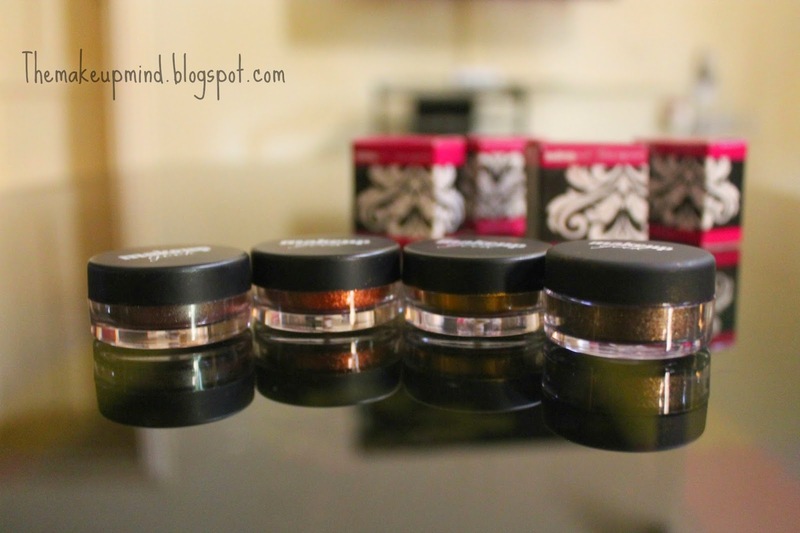 The title of this post definitely says it all about the makeup geek pigments. But then, nobody wants to read just the post title right? 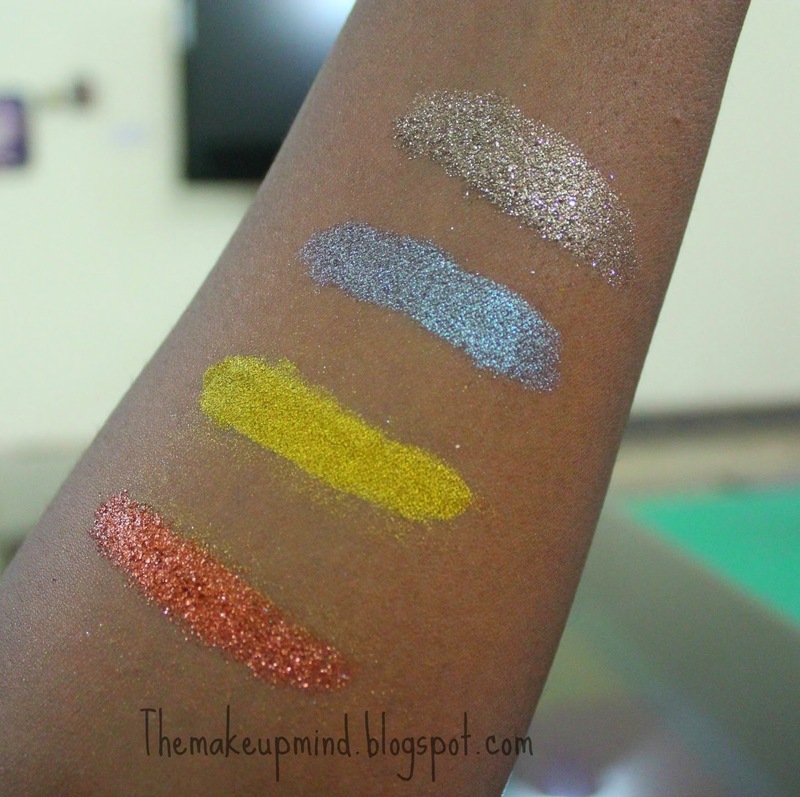 I have had my eyes on makeup geek pigments for sometime now. I actually have eyes on almost all makeup products in the world but lets just pretend its just MUG pigments for now :D. Recently, I was able to get my hands on four of the pigments that were at the top of my list which are Insomnia, vegas lights, liquid gold and utopia.All the pigments came with a generous amount in the jar except utopia which was a lot less than the others. 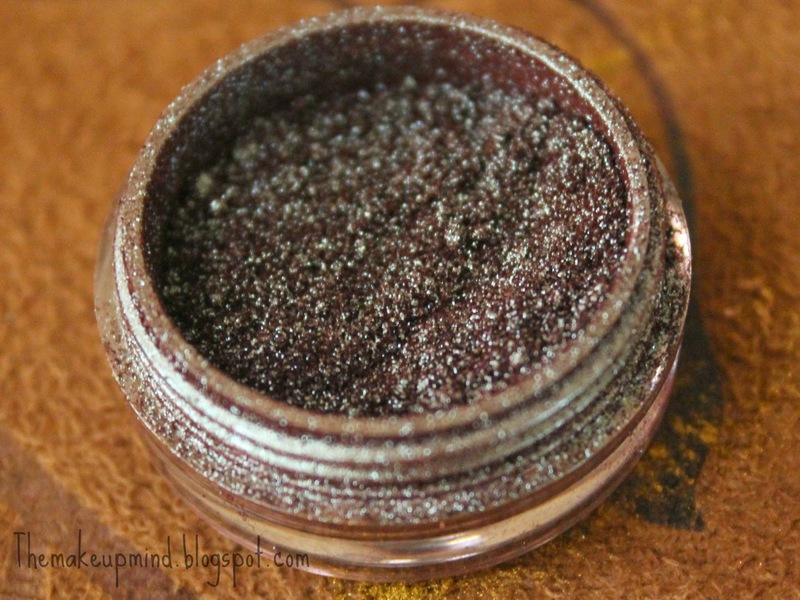 All the pigments reveiwed in this post are all warm toned. 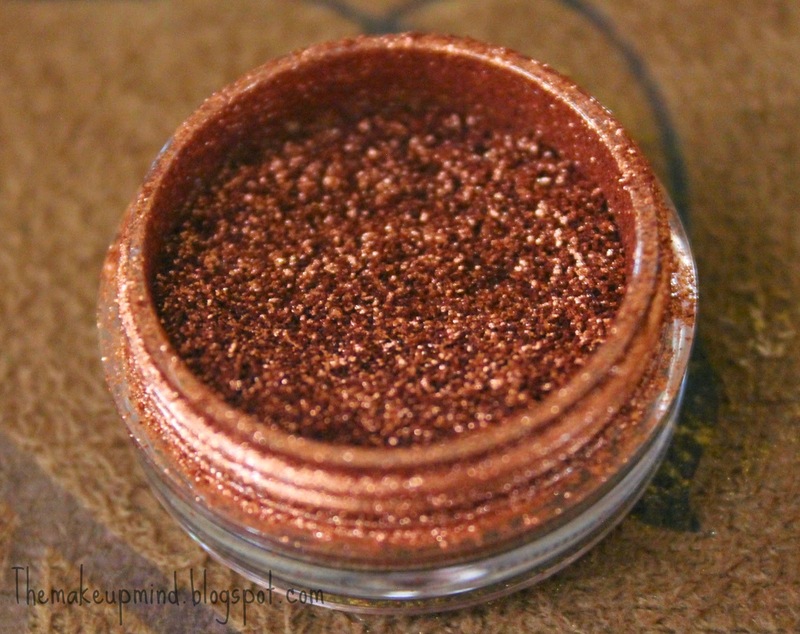 Vegas lights is a gorgeous copper glitter pigment. It is glitzy and bright so I understand why it was named vegas lights. It reminds me of beautiful autumn leaves. 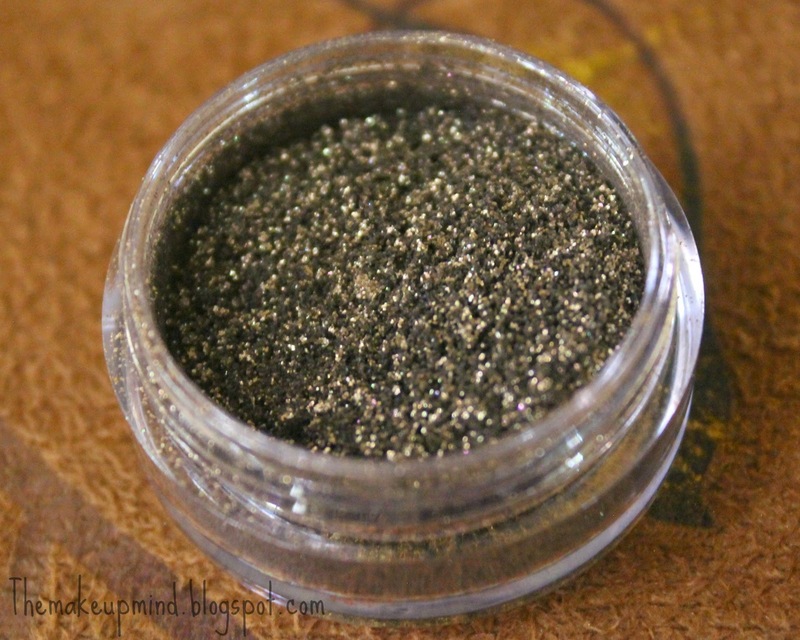 I have an autumn makeup tutorial with this pigment a few posts back. For completely opaque application, use it with a wet brush. Since it's glitter it doesnt come togethher so well so some liquid is needed for a much better application. There is a lot of fall out with this pigment but it's definitely worth it. See swatch below. Liquid gold was my second most wanted MUG pigment from the moment I saw it on their website. When I finally got it and opened it, I gasped. Yes guys, it's that beautiful. 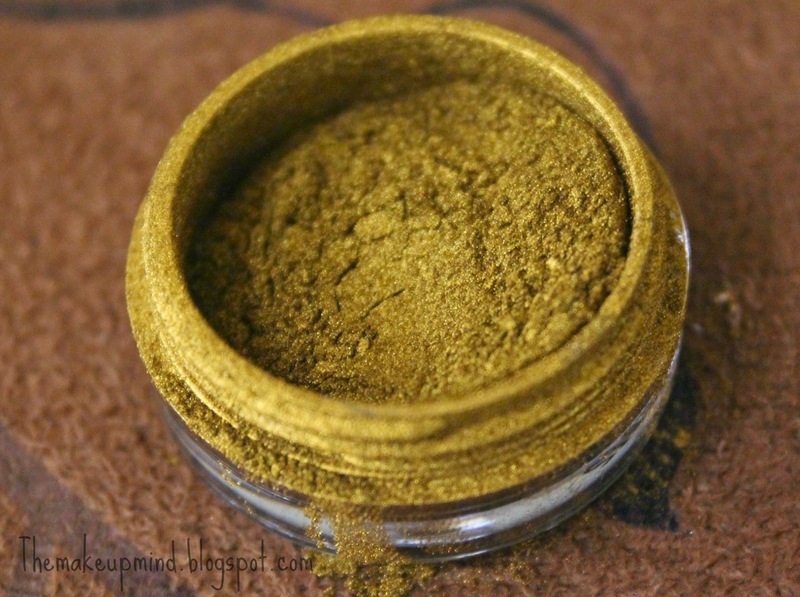 It is a metallic true gold pigment and it is very pigmented! I had to emphasize that. It reminds me of those ancient Egyptian gold jewelry that are just so beautiful. It also reminds me of the story of the ancient Greek King Midas (I have a weird imagination, I know :D). It has a very smooth texture and can be applied with a wet brush for intense colour payoff or with a dry brush for a wash of colour. See swatch below. I'm not so not so crazy about makeup but you make want to just buy all of it! 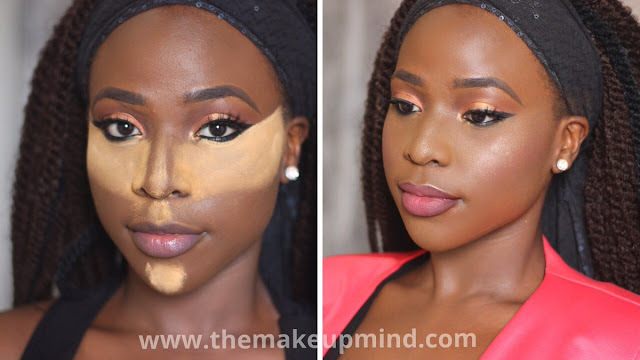 Please how long did it take for your makeupgeek order to be delivered to Nigeria?